Did you start your AR-15 handguard search online yet? 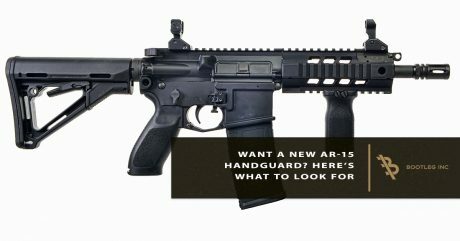 Have you spent hours searching “best AR-15 accessories” in your favorite search engine? If you’re confused, overwhelmed, or have seventeen different handguards on your list, you’re not alone. A common hurdle for shoppers in the AR-15 accessory category is the abundance of options. When you look for a handguard, you will find names like handguard, forend, forearm, foregrip, and more. Frankly, they’re essentially the same components with slight variations in implementation or in use. Instead of spending the next six weeks searching for the perfect handguard, the experts at Bootleg want to give you a list of seven things to look for when shopping AR-15 handguards so that you can find the perfect piece for your rifle. Choosing the right handguard for your AR-15 is critical to the objective you have set when using your rifle. If you want better accuracy, less recoil, or a better grip, you need to choose the type of handguard that best helps you. We know that we’ve been talking tactical outcomes for your AR-15, but you do care what it looks like. If you want your rifle to have a classic, tactical, or military look, your handguard will help achieve this. Choose a handguard with a certain texture and color to get the look you want. How much are you willing to haul around for the sake of function? The extra weight on your rifle is directly related to the number of accessories or component upgrades you add. This is why choosing one or two uses for your AR-15 is the best way to keep the weight light. How easy will it be to modify your AR-15? For most, modifying an AR can be done using YouTube videos or reading “How To’s” on the internet. Nonetheless, are you confident in modifying your rifle? If not, you may need to visit your local rifle shop for assistance. Otherwise, you can order accessories to upgrade your rifle to fit your needs. The type of handguard you choose can have an affect on your accuracy. There are two primary categories of handguards, which we will discuss later in the post. A free-floating handguard can tighten up your groups, which may affect how you shoot. Drop-in handguards are the “classic” two-piece components that AR-15s were meant to use. How much are you willing to spend on your AR-15 to get the look, feel, and function you want? Although this is number six on the list, you should set this prior to shopping online. It shouldn’t come as a surprise, but AR-15 accessories can exceed $5,000 or remain as low as a $500. Some rifles exceed the $10,000 mark in upgrades. It really depends how much you want to spend. How often will you be shooting? 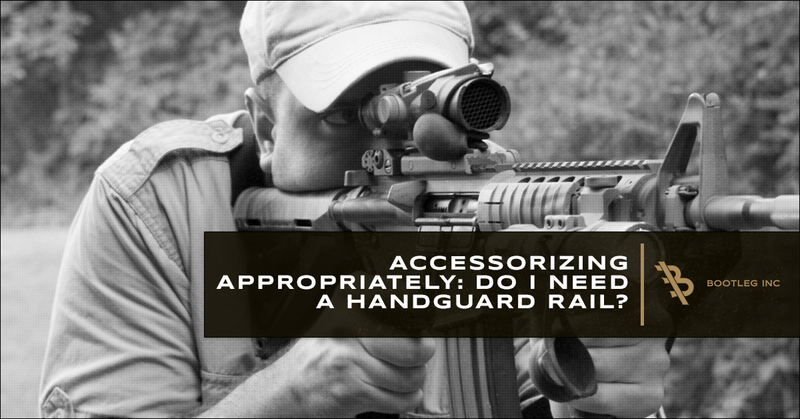 Will the handguard and accessories you choose negatively affect your rifle’s heat resistance? You want to make sure your rifle has enough “breathing” room to fire as much as you want. For those looking to upgrade their rifle a lot, make sure you don’t suffocate your rifle. Those who want to add a handguard and one or two accessories, you should be fine to do so without much worry. As mentioned above, there are two categories of handguards you need to be aware of. The first is the free-floating handguard and the other is the drop-in handguard. Below, we will explain each one and their benefits. When you choose bootleg, you get the best AR-15 accessories on the market. Our PicMod Handguard offers you the ability to utilize Picatinny mounts on top and PicMod on the other three sides. This technology combines Picatinny and KeyMod rail systems so that you have the ability to add nearly any accessory to your rifle. Ready to shop AR-15 handguards? Order your Bootleg Handguard online now!